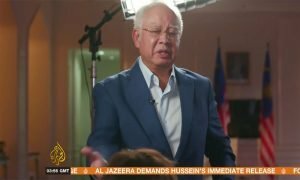 In the Al Jazeera interview 10 days ago, did Najib think that he could prove his innocence during the interview…? Or is he an attention seeker and desperate for the publicity…? 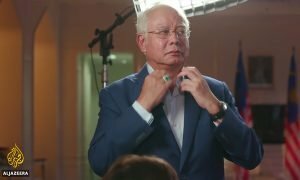 No-one will know the real reason former, disgraced prime minister, Najib Abdul Razak agreed to the interview with Mary Ann Jolley, from Al-Jazeera. Perhaps, the first reason was that he was desperate to attempt to prove he was not guilty, and wrongly thought that he could somehow show his innocence in the interview. A politician like Najib, who has been wrapped in cotton wool for most of his life, is not used to probing questions because he only knows two types of journalists. His aides have deported reporters whom they know are “dangerous”, because of their persistent questioning. The other type of journalist lies at the other end of the media spectrum. These are the local reporters, and the Malaysian press corp based overseas who cover his trips. They produce coffee table, fluffy, empty-of-content-feel-good articles. They fawn over him and his spouse, the self-styled, former First Lady of Malaysia (FLOM), Rosmah Mansor. The second reason for agreeing to be interviewed is that Najib is an attention seeker. Ever since he became an MP in a by-election after the death of his father, Razak Hussein, Najib has been treated like a pampered pooch. When he barks, he gets attention. When he strays out of line, someone else will clean up after him. He failed to understand that children of political fathers who die or are jailed, get a massive boost from the electorate; the sympathy votes. Few were willing to tell these career politicians that they are living in the political equivalent of Disney World. The bubble can burst and when it does, the real world may seem grey, cold and cruel. Sadly, Najib’s bubble did burst, when the 1MDB scandal exploded around him. He was treated like a criminal. His passport was seized. His accounts frozen. His apartments raided. He was hounded by reporters, and even when he went on holiday people would gather at the airport, urging the police to stop him because they suspected that he would try to escape capture. During happier times, he basked in the limelight of attending a celebrity event. Today, he is reduced to the daily grind to the MACC, to be quizzed. The narcissist in Najib simply cannot help his impulses. Najib missed the spotlight and could not keep away from the glare of publicity. Notice his constant remarks about proper governance. Why did he not do something when he was all powerful? His criticism of parliament. Why only now? His insistence that high-profile murder cases be re-opened. All these could, and should, have been done in his tenure. Nevertheless, Najib acted true to character. He was suffering from withdrawal pangs and needed his ego massaged. Perhaps, the interview with Al-Jazeera could fix his addiction. He was wrong. 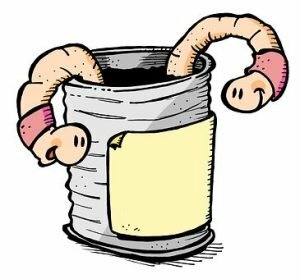 The grilling from Jolley opened another can of worms. His body language confirmed our misgivings. 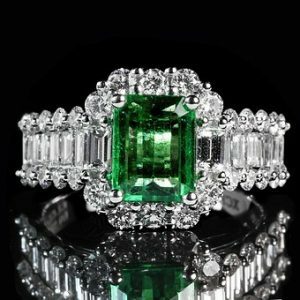 His eye-wateringly massive emerald ring, must have horrified the makciks who donated to his fund-raising drive, a few weeks earlier. 2. His constant sideways glance, for reassurance, from his press secretary, Tengku Sharifuddin Tengku Ahmad, just proved that the former PM was out of his depth, like a child needing his mother’s firm handling. His outburst was like a spoilt child who is not allowed any more chocolates and therefore storms from the room in a huff. Instead of feeling placated, our appetite has only been whetted. Najib’s revelations are a Pandora’s box. 3. Did Najib not realise the difference between theft and gifts? 4. He has also switched slogans, from “1Malaysia” to the new catch word of “I assume”. 5. Most people check to see who has deposited money into their accounts. A massive deposit of a few hundred million ringgits into his personal account should have triggered some curiosity, but Najib thought nothing of it. He was either lying or trying to give the impression that it was a normal occurrence. As a former PM whose monthly wage was RM23,000, or thereabouts, hefty deposits like these bring down governments, in more civilised countries. 6. Distraction has always been the forte of Najib and his party. They create side shows and red herrings to sidetrack the rakyat. In the Al-Jazeera interview, Najib named other international figures who had something to gain from 1MDB. He said it with a smug look on his face, but one can only feel that he has put his head in a noose. 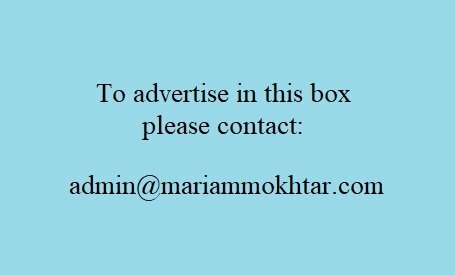 The middle-eastern people, whom he once considered friends and benefactors, will make U-turns, and disclaim that they had helped him. They will deny they financed his step-son, or their role in any of his other dodgy ventures. 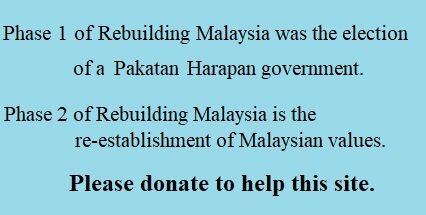 Saudi Arabia has already distanced itself from the RM2.6 billion donation. 7. One realises that a parent is protective about his children. To claim that his step-son, Riza Aziz was a movie buff and was catapulted into Hollywood and superstardom with money from the Abu Dhabi ruling family, is pure comedy. 8. Najib failed to explain what had happened to the unnamed expensive presents and multi-million rinngit gems, given to him by former heads of states. So, he tried to deflect attention by saying his predecessors had also received and kept many gifts. 9. He then suggested that it was inappropriate to question the middle eastern custom of giving gifts. He then dropped the massive clanger, that he was not aware of the MACC ruling that people in office cannot accept gifts which are worth more than USD120. So, how knowledgeable was he as PM? What rules did he dismiss with a snap of his fingers? 10. He ignored Jolley’s assertion that the two letters, about money from 1MDB, supposedly sent by two different people, contained alarmingly similar phraseology. 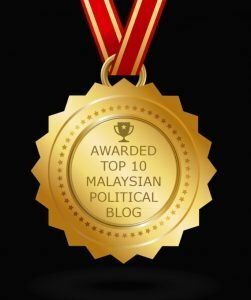 Najib said that he lost GE-14 because it was a perfect storm, which favoured Pakatan Harapan. Is Najib aware that his performance in Jolley’s interview provided many grounds for the Attorney General to probe him further? In spite of everything, many malays including royalty support him. 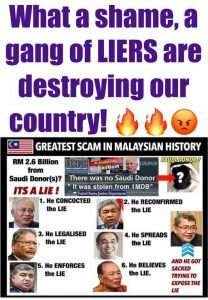 If this country goes to the dogs, malays must be held responsible for the kinds of dysfunctional and criminal activities of their leaders and cronies. This must be a collective shame because in good times, malays can ‘lepak kaya’. Now In bad times they must bear the hardships they created.